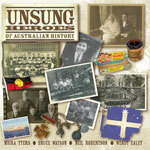 Unsung Heroes of Australian History can announce the release of downloadable educational resources! We are very proud of the study guides arising from the songs and stories of the UHAH project which have been developed by the wonderful people at ATOM (particularly Peter Tapp and Bob Lewis) who have worked with us to produce worksheets for teachers to download and hopefully ignite interest in our history and get them excited about doing some research of their own. There are also a series of ATOM study guides for primary and secondary students, available to download for free at http://www.metromagazine.com.au (click on ‘study guides’). Unsung Heroes of Australian History offers incursion packages that can be tailored to suit the particular needs and interests of your students. We were delighted with the response from our first school audience at Deer Park Primary School. What a bunch of enthusiastic and well informed year 5 & 6 students these are. Moira and I are partners in numerous musical crimes. We got together through the Darebin Songwriters Guild which we founded in 2006 - all Moy's great idea - and hit it off musically as well as personally pretty much straight away. Moira is a fine guitarist and a mean fiddler and she's just started showing signs of being quite the rock chick on the snare. She's a prolific writer and as Ealey&Tyers our voices and styles compliment each other well. We work together on the UHAH piece - also Moira's original concept - as well as having huge fun working up our own material and having a shot at the odd cover. Our latest favourite is "Stand By Your Man" which with much practice, we can almost perform with a straight face! Darebin Songwriters Guild is a regular gathering of like minded souls coordinated by Moira and myself, and it's home is at Bar 303 High Street, Northcote. Moira, with the invaluable help of Ange, works the sound desk (meaning Moy does lots of the plugging in and Ange does most of the knob twirling), while I MC the event with the intention that each gathering be experienced as a serious gig, but also provide performers with a structured, supportive performance space. The Guild welcomes people with a song in their hearts or a tune in their heads. Give yourself permission to pursue what you can’t help but do anyway! A chance for songwriters to get together, egg each other on, somewhere you know you’ll be listened to. Lyricists meet tunesmiths and vice versa. Nurturing but unprecious. Great for networking, and ‘coming out of the musical closet’. 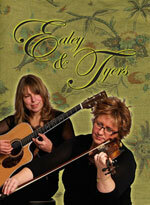 Launching Pad: Guild hosted CD launches. Collaborator’s Corner: when Guildians join to produce some combined magic! Unfinished Business: workshopping unfinished songs in a safe and positive environment. Featured Artist: appearances by real, proper songwriters bought from a shop! Unsung completed their first and final album. 13 troolly, roolly good songs sung by 3 troolly roolly good types. CD is called 'Mudcake' and it's title track does not exist. That is to say Unsung never actually sang about mud or cake when you stop and think about it... Sadly this was to quickly become a collectible with the dissolution of the trio, but they still play together, very nicely and well behavedly too in the Unsung Heroes project. The All Of Us Project was the brain child of Michel Lawrence in response to the Cronulla Riots. He undertook to seek out and photograph at least one member of each naitonality that lives in Australia. My song "All Of Us" rather coincided with his theme and it was incorporated into the DVD of the project and to my surprise and delight it found it's way onto Youtube. Listen up. The message matters. We all belong here. Have a listen to a couple of songs at Folk Victoria, The Emerald Room, Clifton Hill Hotel, May 2007 with Harry Williamson. Unsung played the second part of the evening and we each had our 'me me' moments for the first set. Despite appearances, I'm not just about to eat Jess Evans. Jess writes a mean song - in more ways than one. They're fine tunes but she manages to pop in some sticky chords for lazy ol' moi to get my fingers around. We haven't played for a bit. Jess is studying at Melbourne Uni and music has taken a bit of a back seat for her for the time being.